Long days at the beach are definitely one of the best ways to spend a vacation. With the sun shining above and the warm sand in your toes, it’s hard to imagine ever wanting to leave! Sometimes on those big family trips though, especially with younger children, everyone can get a little restless at the beach. After an hour of two of splashing around in the ocean and enjoying a rest on the shore, it can be nice to have a few activities up your sleeve to entertain the family! 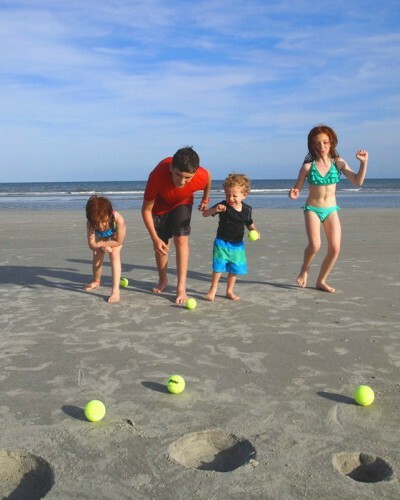 Try out some of these fun and easy beach games, perfect for the whole family to participate! After your long day at the beach you can always retreat to the beautiful Pismo Lighthouse Suites and continue the fun and games at their amazing play deck! 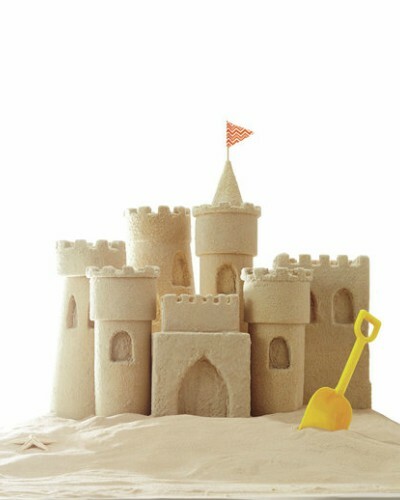 It may seem simple, but a sandcastle contest is a cheap, exciting way to work towards a goal with your family members! Either work as a whole or split into teams and spend some time during your day at the beach building something beautiful. This is great activity that can be left and come back to, so you’re flexible to grab a snack or go for a dip in the water. Grab some empty bottles from your lunch at the beach or even head to a nearby dollar store before you arrive for some plastic pins and balls for this fun and simple beach game. No hassle in renting shoes, worrying about those pesky, heavy balls with smaller kids, or running out of games with this game! Line up your empty bottles or plastic pins, then take a small ball to spend a few rounds seeing who can rack up the most points by knocking them down. Have the kids help set up the “bowling alley” by choosing a secluded spot to even out the sand for your own personal bowling lanes! 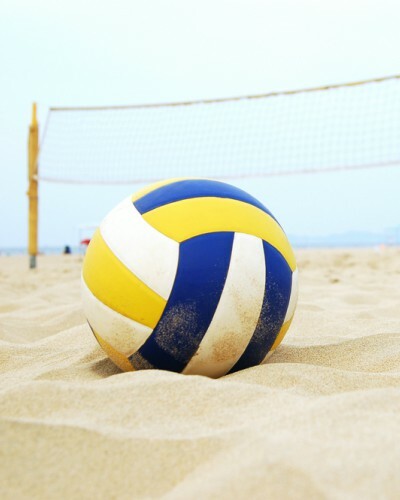 A no-brainer when it comes to a fun day at the beach is a little pick up game of beach volleyball. If the beach you’re visiting has nets set up, this is a great way to teach the kids how to play the game. Even without nets though, you can easily create your own beach volleyball game without any hassle. All you need is a volleyball, an open area, and the family to play along! Find an open area and draw a line down the middle of your makeshift “court” to represent the net. You can even substitute the volleyball with a beach ball to make the game a little easier. This is the perfect way to let smaller kids participate in the fun! Another game with an easy, inexpensive set up is sand hopscotch! Bring one of your kids’ favorite neighborhood games to the beach with you! You can even make a whole activity of it by spending an hour or two on a scavenger hunt to find the best, natural markers for your hopscotch squares like shells, rocks, and sticks. All you need is a little exploration and a bounce in your step! 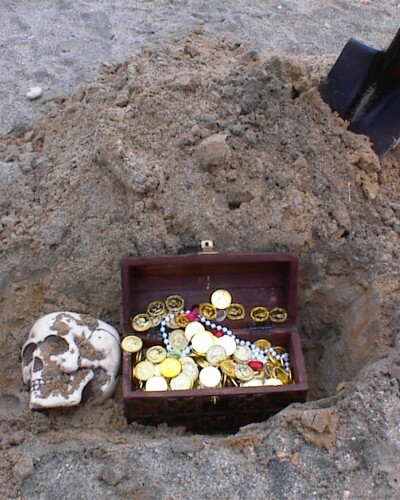 Release your inner pirate with a beach treasure hunt! Another free and fun way to enhance a beautiful day at the beach is to explore the sands for some natural goodies. Split up into teams or venture as a whole family across the many caves, shores, and rocks of the beach to discover some of the world’s prettiest treasures. Beaches like Pismo Beach have amazing caves and rock formation perfect for this type of activity!